VaporFi stocks all of the vaping industry leaders, and we’re proud to introduce the full lineup of high-quality products from Kanger Tech. Their offerings span the entire spectrum of vaping products and you can expect to find advanced tech for vapers of all experience levels. From box mods to atomizer tanks, Kanger produces some of the best vape mods and sub-ohm setups on the market. Their popularity is ever-growing as new product variants create a stable baseline for advancing the vaping industry forward by making reliable, easy-to-use products available to mainstream consumers. Style certainly isn’t lost on Kanger Tech, either, as veteran vapers often purchase Kanger vape pens for their unique color coordination and convenient form factor. 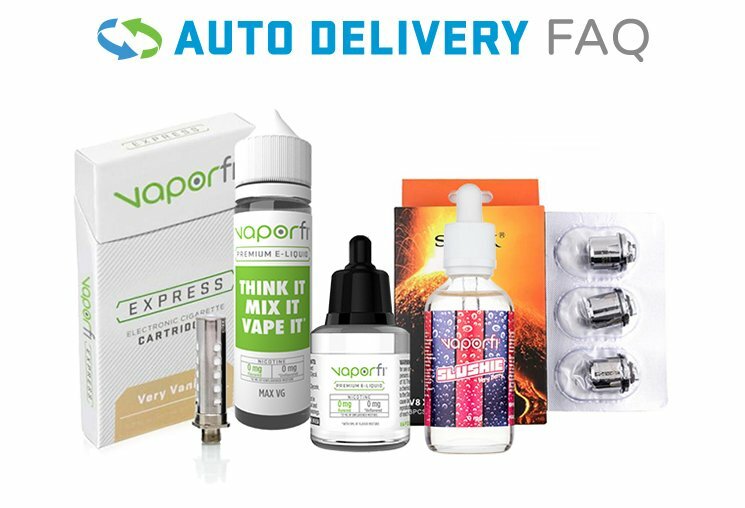 The availability of Kanger accessories and coils is definitely another selling factor, and while we know our prices can’t be beaten at VaporFi, there are always emergency situations where you need a replacement part right away. Let's get familiar with Kanger Tech and some of their amazing products! Established in 2007, Kanger Tech quickly became a trusted name among vape manufacturers y by providing something that was quite rare back then – accessibility. Any vaper from this era will chuckle when reminiscing about the sheer complexity of mechanical mods and rebuildable atomizer tanks of the time. Safety was a real concern as well, due to the limited knowledge available on the technology and the lack of any displays or built-in ohmmeters to tell if you were operating the battery within a safe range. Kanger was one of the first companies to combat these problems head-on without offering extremely high-cost units that were common at the time. The China-based technological powerhouse continually pushed the bar higher by providing atomizer tanks without the need for rebuilding and pioneering affordable box mods like the KBox, which made sub-ohm vaping accessible to even inexperienced vapers. Sub-ohm refers to the resistance of atomizer coil registering below one ohm, which symbolizes a heavier, more unpredictable drain on the battery. It may not seem like it to anyone brand new to the vape scene 10 years down the line in 2017, but sub-ohm vaping used to present quite the technological barrier to entry. For anyone who has experienced the difference in vapor density and vape juice flavor, it can be quite noticeable. Kanger vape pens like the SubVod now join the lineup of sub-ohm box mods to provide a great vape in any form factor, and most of the VaporFi Kanger vaporizers in stock are capable of sub-ohm vaping for hours. Now that Kanger has made it easy and accessible for the everyday vaper to get a satisfying and delicious vape, they certainly haven’t stopped innovating. The majority of their atomizer tanks are capable of sustained sub-ohm vaping, like the famous ProTank and easy-to-use, top-fill TopTank, which comes in several convenient sizes. Color-coordinated tank and mod starter kits are available at low prices that you’ve come to expect from us at VaporFi in a variety of form factors. Units like the Evod and SubVod are excellent choices for new vapers or those looking for a convenient vape for going out or into stealth mode. These cylindrical units are reminiscent of mechanical tube mods, but come standard with all of the newest tech in bold color options. They are often hailed as some of the best vape pens on the market. Looking at options that increase the level of control without sacrificing too much on form factor, Kanger Tech offers mods like the Topbox, Nebox, CUPTI and KBOX. These units all offer the ability to control wattage/voltage and are some of the most popular vape starter kits on the market, partially because of accessibility and price point/ But their popularity also is due to vibrant colors like purple, maroon and orange that are hard to come by. Another groundbreaking entry to their lineup was the Dripbox, which allowed mainstream vapers to experience the intense flavor and density of a dripper without the need to complete an electrician’s apprenticeship. Now that you know a little bit more about the industry giant Kanger Tech, we invite you to browse our great selection of VaporFi Kanger vape pens, mods and atomizer tanks and pick the one that’s right for you! The convenience, ease of use and reliability of Kanger products makes them a great pickup for yourself or to give the gift of vaping to a friend or relative. Their long-standing reputation serves as a symbol of hope for the vape industry and removes any doubts about their commitment to providing quality products for years to come. We at VaporFi stand behind all of the Kanger Tech products with the uncompromising customer service you’ve come to expect from us. Customer support is available at all times to answer any questions you may have, and a 30-day return policy ensures that you’ll end up with the perfect vape for you!